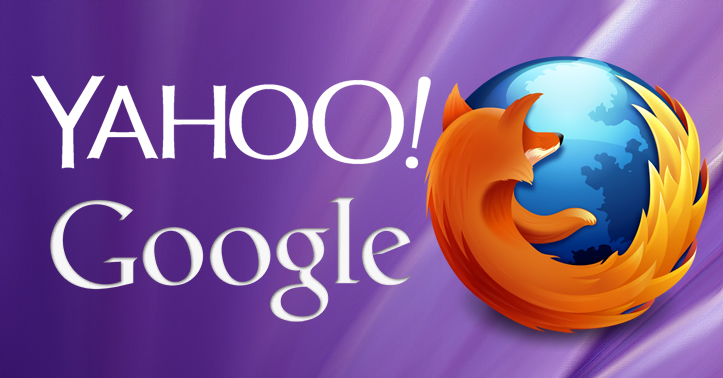 When Mozilla Firefox and Yahoo announced that Yahoo would now be the default search engine used by the Firefox browser, it raised some eyebrows. After all, Google is the predominant search engine used throughout most of the world. However, many others have been expecting either Yahoo, Bing, or even Duck Duck Go to swoop in and attempt to take over as the default search engine in Firefox. And the possible breakup between Google and Mozilla has been a couple of years in the making, ever since Google became a competitor when they launched their own Chrome browser. It’s no secret that the relationship between Mozilla and Google is extremely profitable, with Mozilla earning $300 million per year to run Google as their default search engine . And it gives Google an avenue to display their AdWords ads, which of course makes her advertisers happy. So Yahoo must have made a very sweet offer to be replacing Google. This will significantly bump up Yahoo’s search share – something they have continued to struggle with. While their search is powered by Bing, neither Bing nor Yahoo has been able to make much of a dent in Google’s search share, although in October 2014 Yahoo finally managed to steal 0.3% of Google’s search share, after remaining static the month before. But becoming Firefox’s default search could mean that Yahoo – and Bing, as they currently serve Bing search results – could erode more of Google’s search share. Should Google be concerned with the switch in default search engines? Currently Firefox has between 16% and 19% of the desktop browser market share, depending on the stats. Meanwhile Google’s own chrome browser has between 40% and 51% of the market share – something that Google has dominated since it took over from Internet Explorer as the top browser in 2012. So clearly it won’t have a huge impact on their overall numbers, but it is significant enough that we will see an increase in the number of ads running through Yahoo and simply the increased visibility of Yahoo and Bing search that many might not have otherwise seen or noticed. But from a Yahoo perspective, this is clearly a win. They are getting some great publicity out of it, they will be increasing their visibility to users and they’re going to increase the number of ads they are displaying for advertisers through the Yahoo Bing Network. It is worth noting that the default search outside of the US will remain Google – at least for now. Will we see this change in the future, or will Google remain the default? It is worth noting that, particularly in Europe, the dominance of Google is much greater than it is within the US. So Firefox could potentially see some pushback from their users, and Yahoo simply isn’t as big or as visible outside of the US, simply because of Google’s dominance. Alternatively, we might see international search engines forming regional partnerships with Mozilla, such as Alibaba or Yandex becoming the default in specific countries.